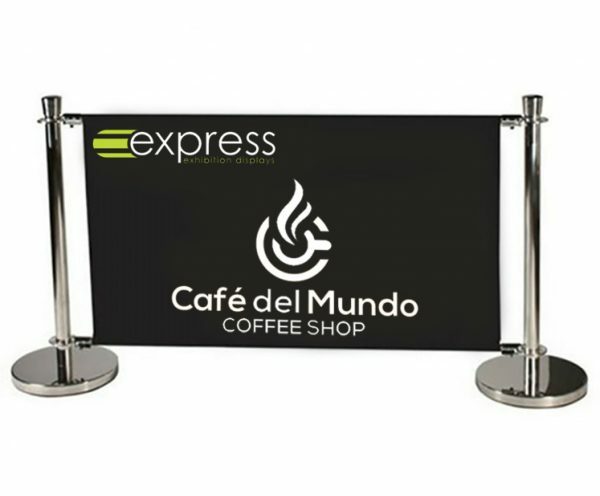 Combine functionality with marketing using cafe barriers to create fully branded enclosures. Cafe barriers are ideal for creating temporary private areas indoors and outdoors without breaking the budget. As well as its use for creating temporary areas, the custom printed graphics are great for raising brand awareness at the same time. 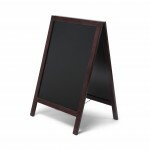 Use the graphic area to promote your seasonal offers, messages or your brand logos. 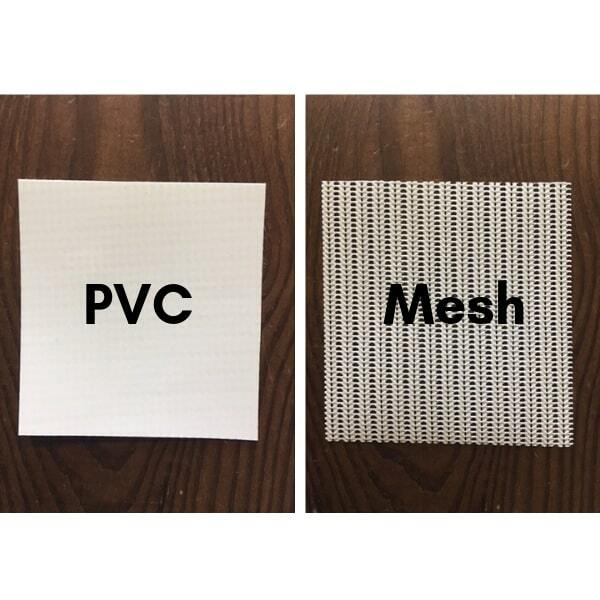 Artwork can be printed on a choice of PVC (solid flat graphic with a slight shine) or mesh (perforated with holes) fabric, at no extra cost. 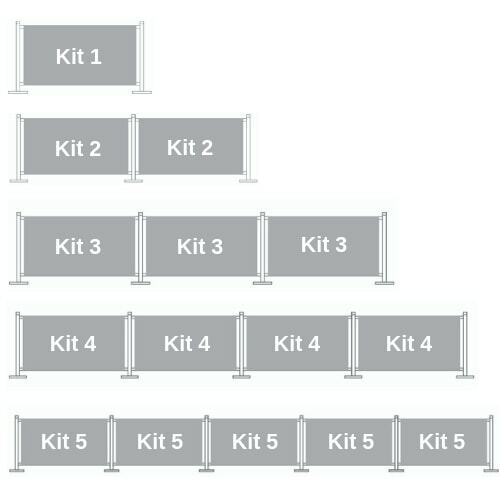 Choose from pre-made kit deals to fit your floor plan. Looking for something custom? Call us today and talk to a member of the team to see how we can help. Please note: if planning to use cafe barriers outdoors, we recommend storing them indoors during poor weather conditions and overnight to increase the longevity of your graphic and hardware. Insert the base into the base cover. 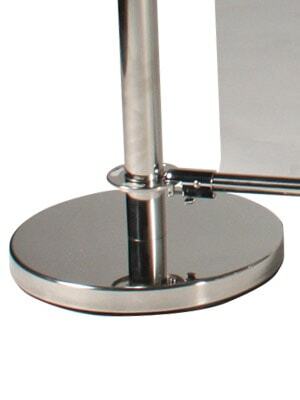 Ensure the pole is aligned with the base and insert bolt and washer from under the base. Tighten securely. Slide the two horizontal graphic support poles through the top and bottom of the graphic. 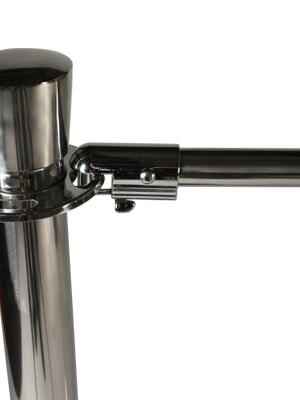 Attach horizontal graphic poles to main support poles securely.